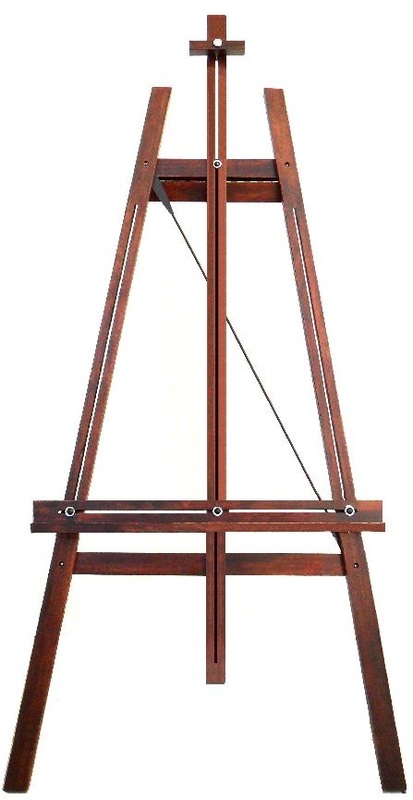 H-Frame Easel. Available in natural, cherry or walnut stain. It will accommodate canvases up to ???cm. 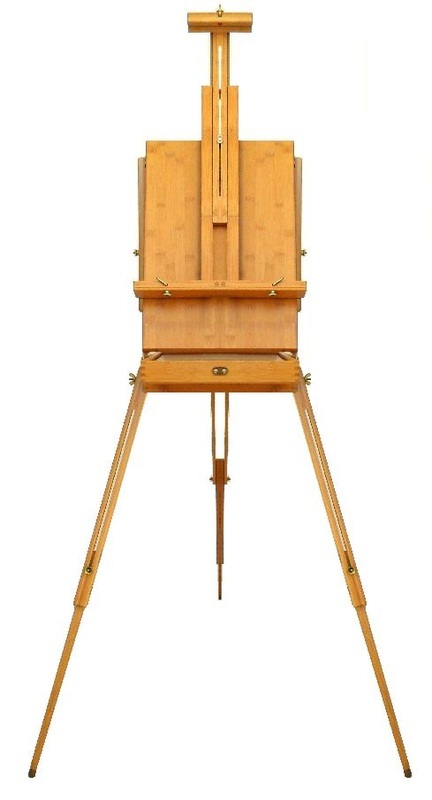 A-Frame Easel. Available in natural, cherry or walnut stain. It will accommodate canvases up to 105cm. 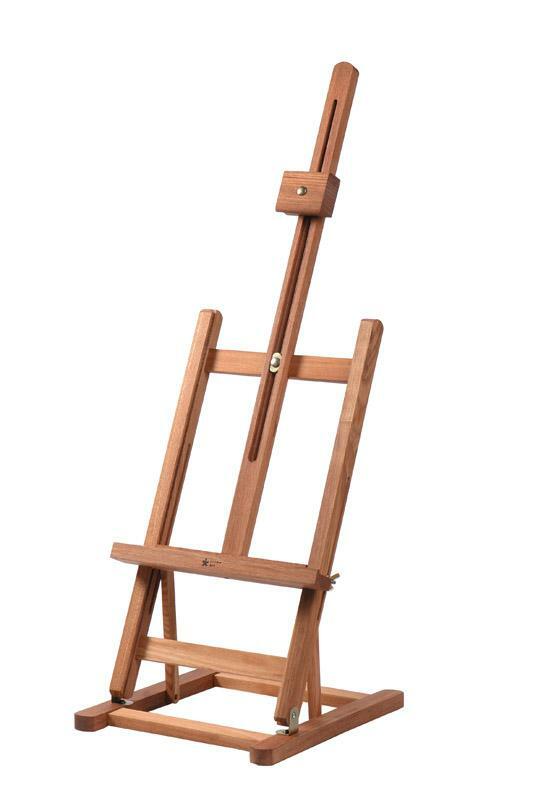 Sturdy Beech Wood Studio Easel on castors. It tilts both forward and backward and folds flat in seconds. It has a handy ledge for brushes and tubes. It will accommodate canvases up to 124cm. 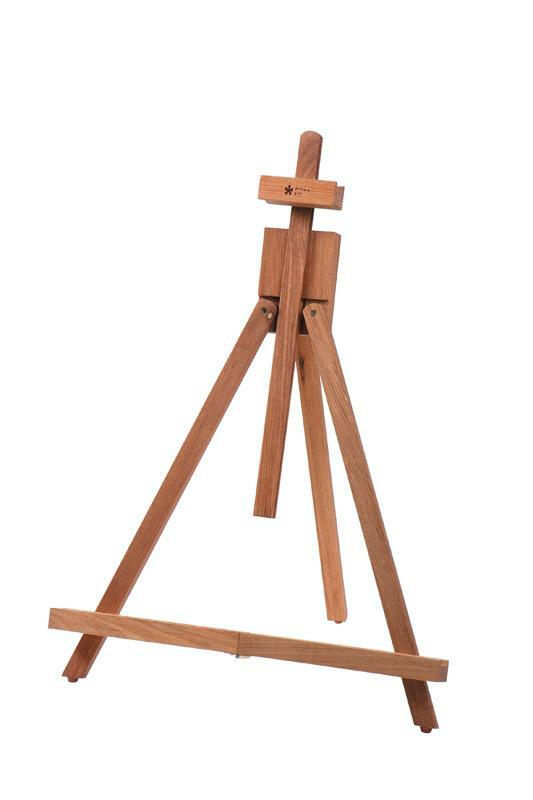 Sturdy wooden A-frame easel with adjustable canvas rest and top clamp to ensure stable canvas positioning. It will accommodate both standard and deep edged canvases up to 125cm. 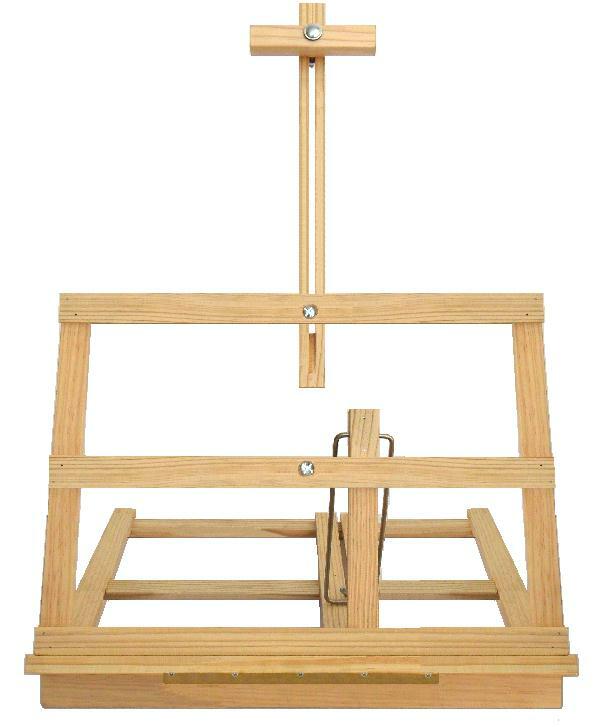 This versatile multi media easel made from oiled beech wood. 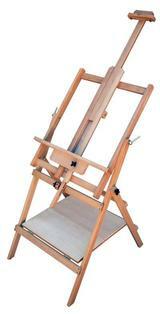 Adjusts from vertical to flat and anywhere in between and will accommodate canvases up to 118cm. 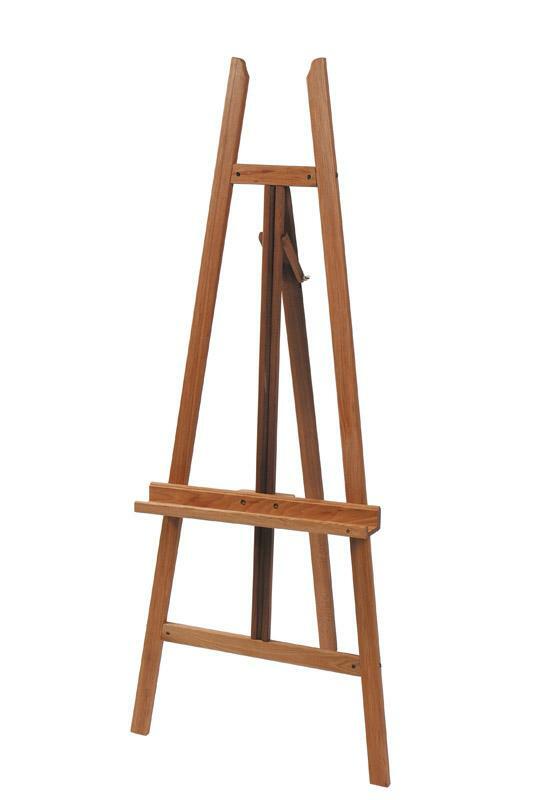 The easel can be folded to table height or flat for storage. 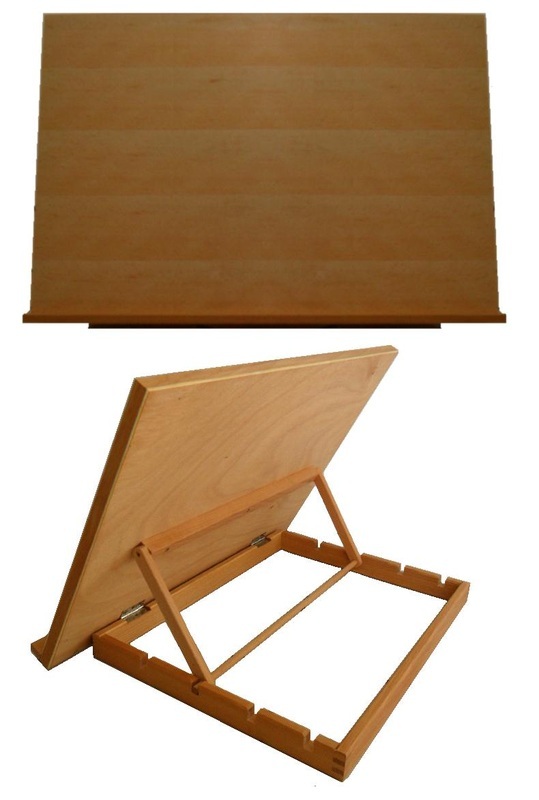 A-Frame easel with storage tray. Folds up into a convenient carry case. It will accommodate canvases up to ???cm. Pillar Easel. Available in natural, cherry or walnut stain. It will accommodate canvases up to 78cm. 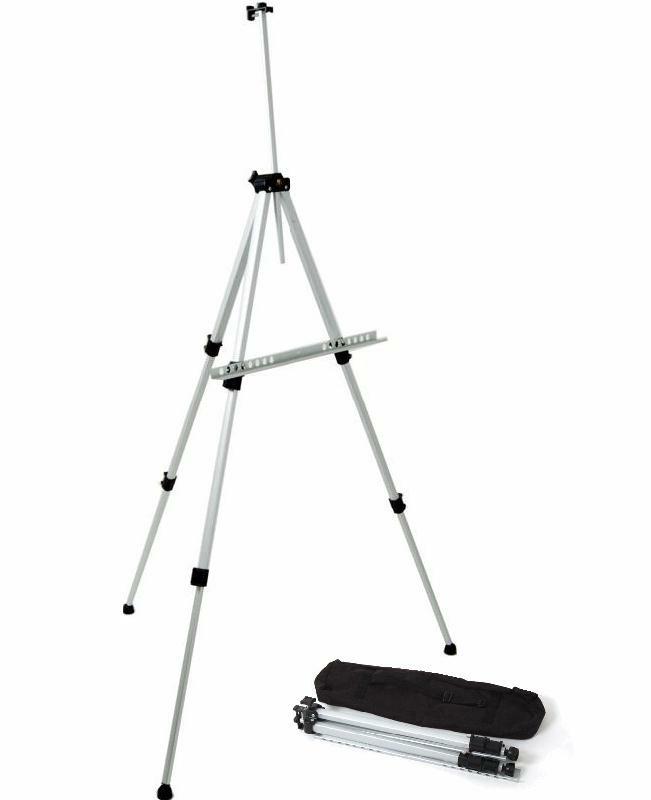 A lightweight travelling easel ideal for field work. Easy to assemble and folds up into nylon carry bag. It will accommodate both standard and deep edged canvases up to ???cm. 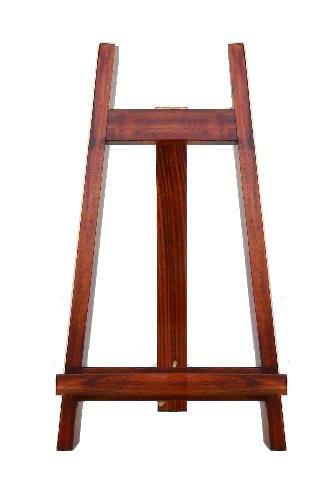 H-Frame Table Easel. Available in natural, cherry or walnut stain. It will accommodate canvases up to 84cm. 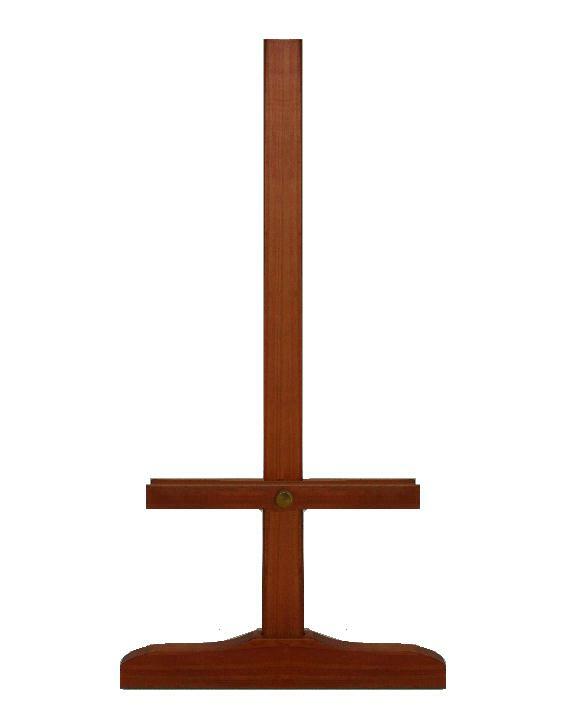 Pillar Table/wall Easel. Available in natural, cherry or walnut stain. It will accommodate canvases up to 72cm. Pine Table Easel. Available in natural only. It will accommodate canvases up to 61cm. 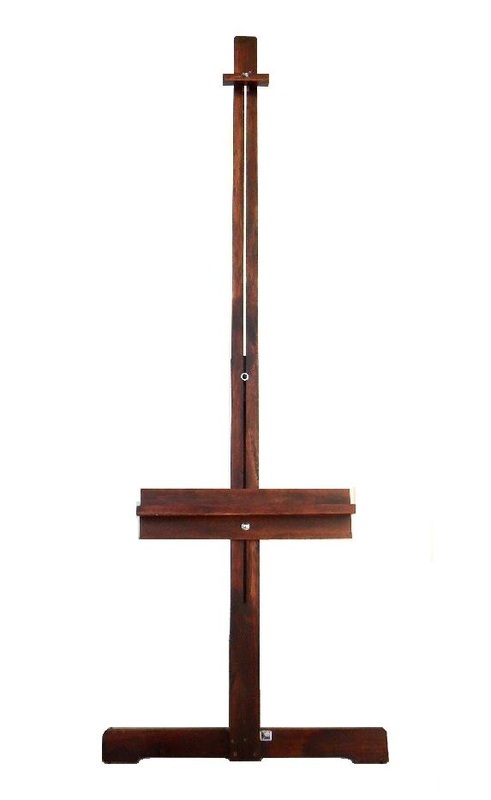 Make from saligna and available in natural, cherry or walnut stain. It will accommodate canvases up to 51cm. 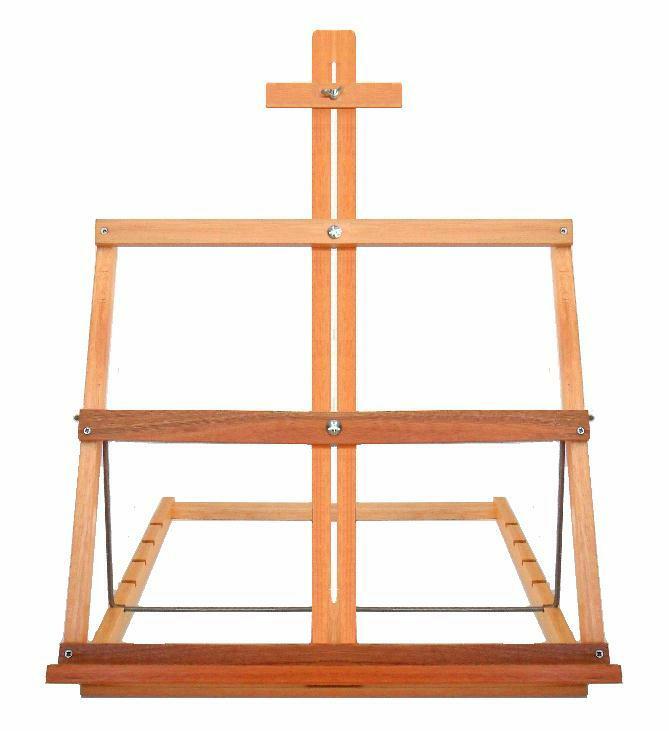 Wooden easel with metal lined drawer. The support is adjustable horizontally. It will accommodate canvases up to 86cm. Made from Oiled beech wood. 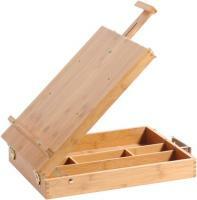 A wooden art box with internal divisions for easy storage and carry handle that opens into an adjustable table easel. It will accommodate canvases up to 65cm. 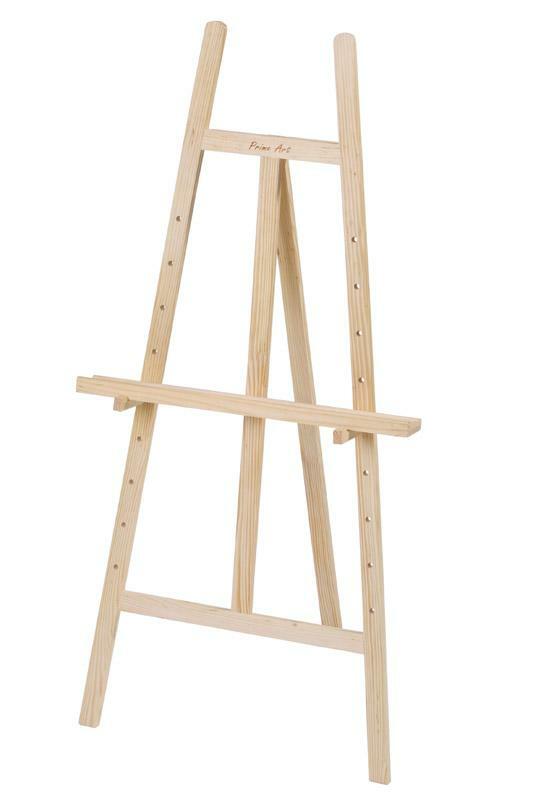 Made from oiled beech wood, this A-frame standing display easel has an adjustable canvas rest. It will accommodate both standard and deep edged canvases up to 127cm. 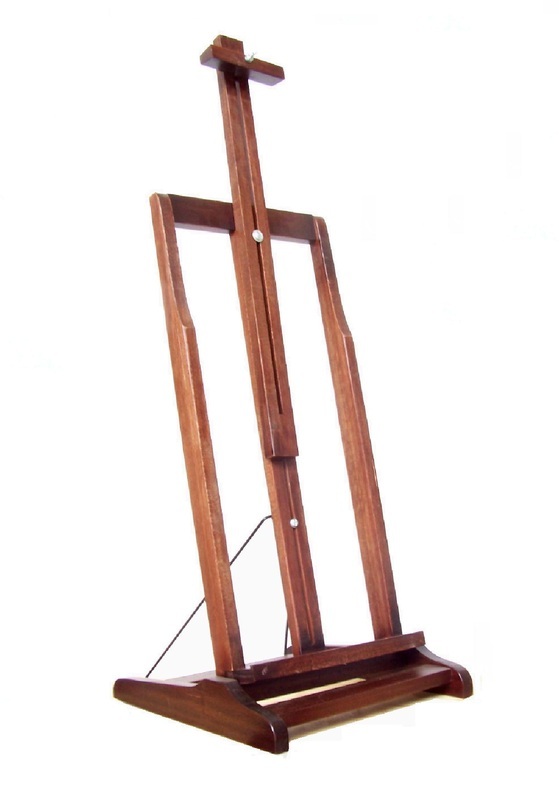 A-frame pine wood standing display easel with peg adjustment. Also popular as a scholastic working easel. 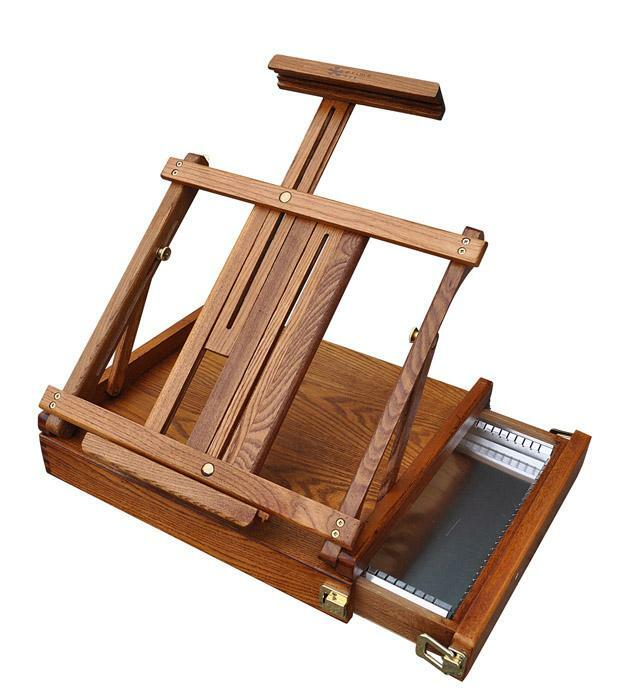 Fold-up A-frame table-top display easel. 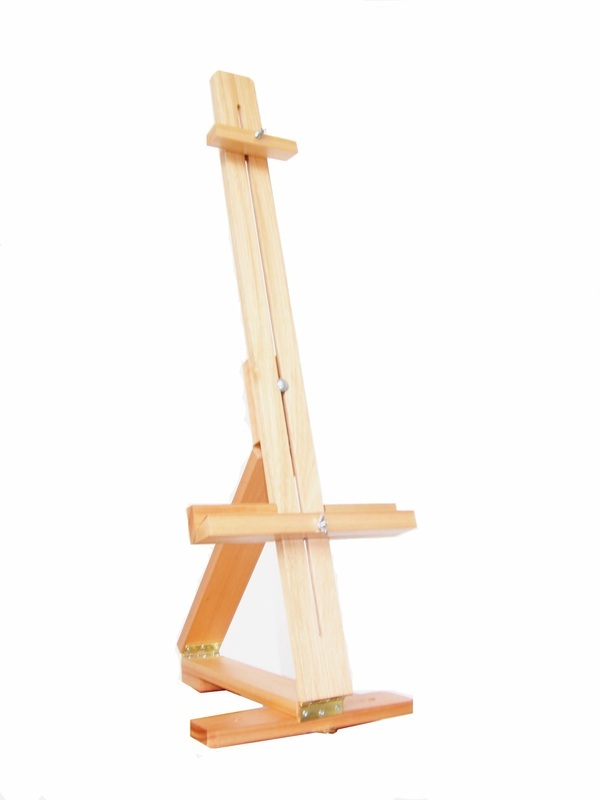 Can also be used as a light duty table easel. Size: 47cm.